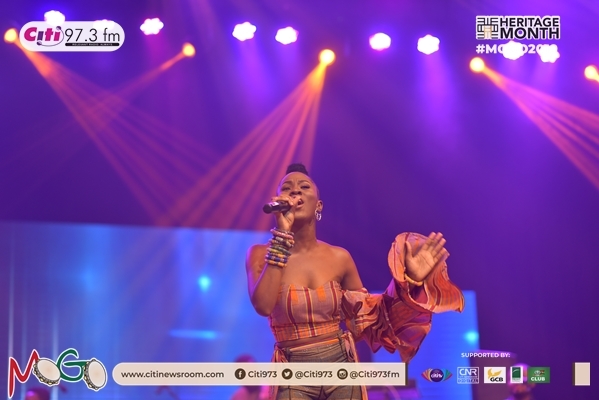 Afro Soul artiste, Cina Soul opened the 2019 edition of the Music of Ghanaian Origin (MOGO) concert with a spectacular performance that left the audience asking for more. Her 10-minute performance which was full of energy had the audience on their feet the whole time ended with her highly popular song Ojorle. 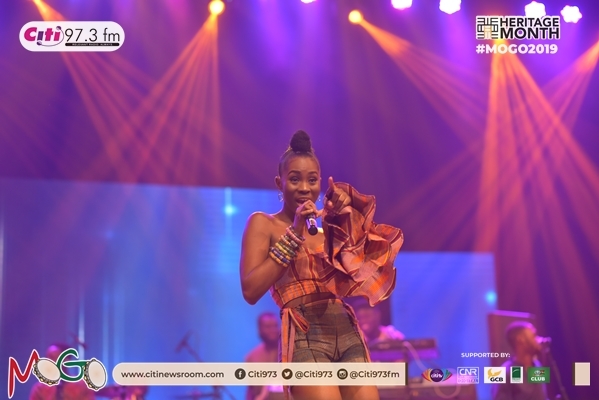 Cina Soul didn’t just sing out her soul, she gave the audience a performance worth their money and time. 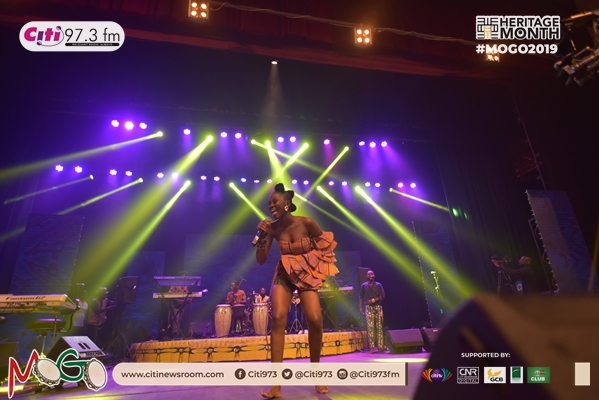 Her popular ‘Ojorle’ has secured her Best Female Vocal Performance nomination at the 2019 Vodafone Ghana Music Awards. Acts expected to rock the night include Kofi B, Akwaboah, K.K Kabobo, Adane best, Kwan Pa, Kwabena Kwabena, Bessa Simon and Amandzeba. The Citi FM MOGO brand has over the years promoted authentic music of Ghanaian origin and celebrated the biggest names in highlife music. 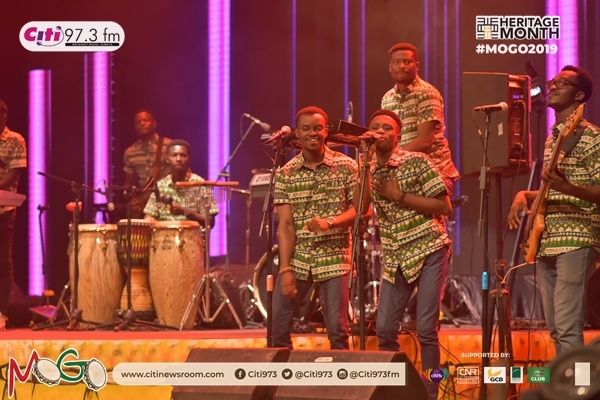 It forms part of activities lined up to mark Citi FM’s Heritage Month which is held in the month of March every year to celebrate Ghana’s culture, heritage and to promote tourism. 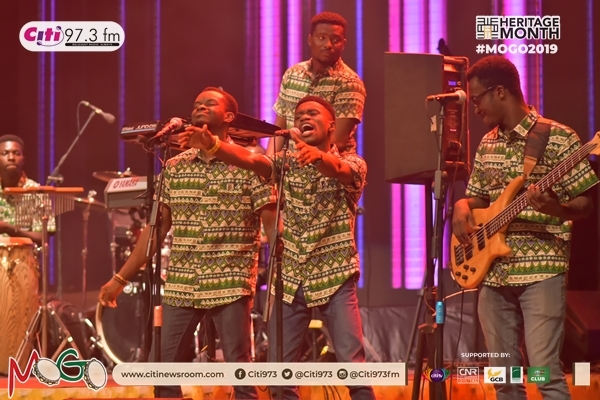 The Heritage Caravan has been held, Accra Music Expo also came off last Saturday at the forecourt of the Accra Metropolitan Assembly where indigenous Ga music was celebrated.